Ever want to make something super complicated...and then give up? Yeah. That is what happened here. 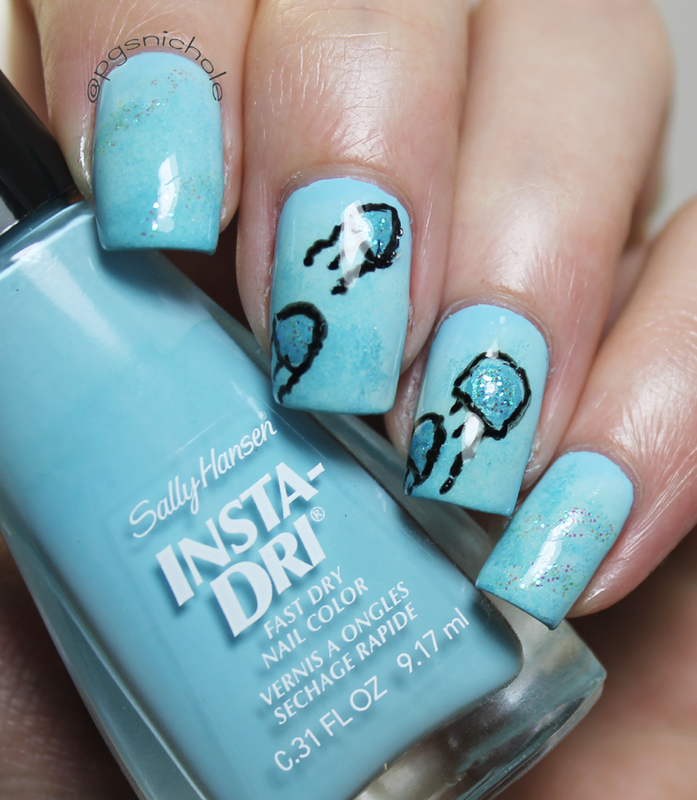 I had intended to do swirls and magic and oceany goodness...but apparently that is hard and my brain is soft. I gave up and just sponged a bunch of colors on there, and added glitter. 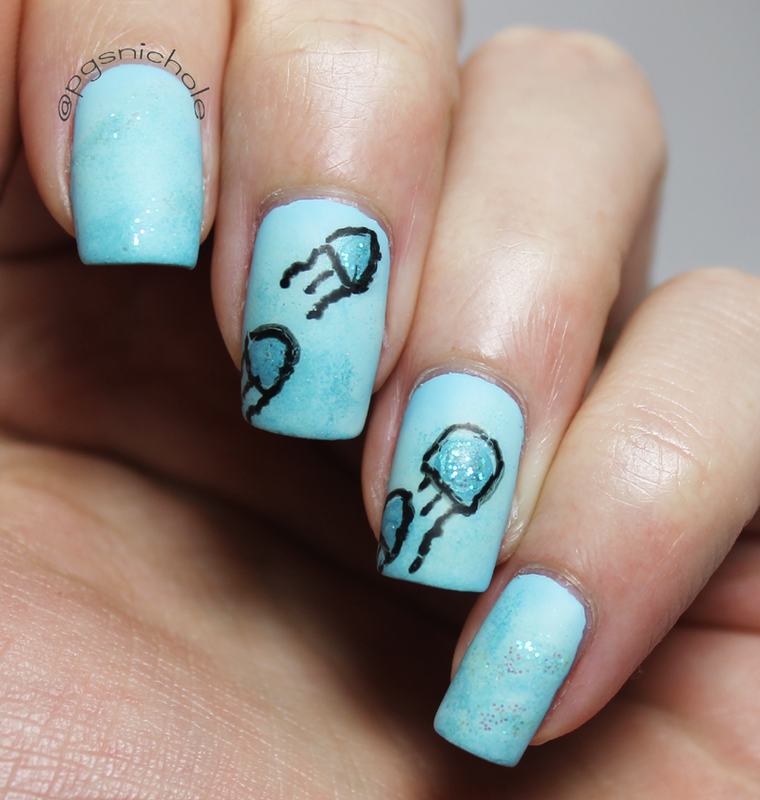 At least there are jellyfish! For the jellyfish, I mixed Blue Away and Turkboys. 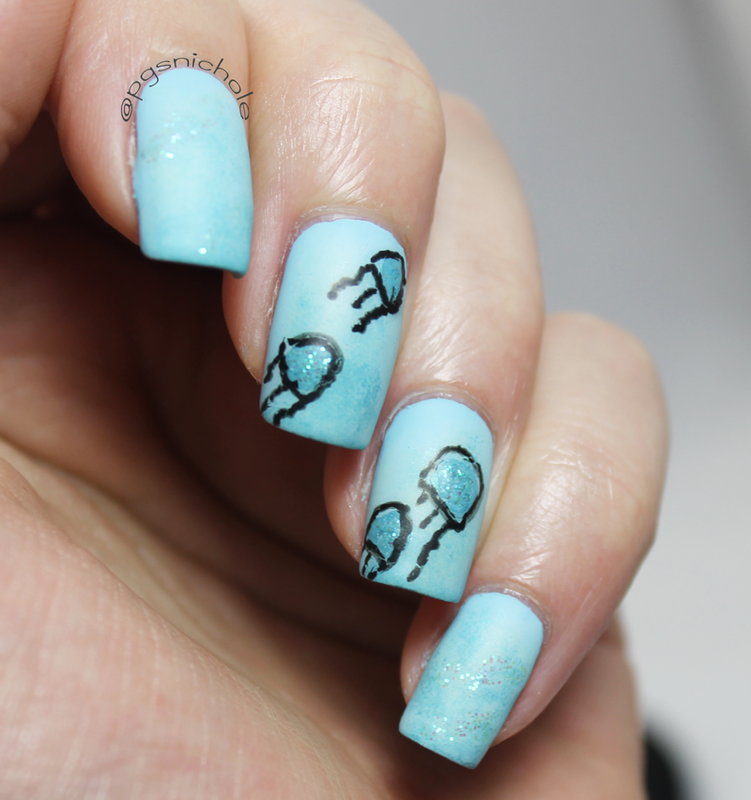 I wanted the jellyfish to have that transparent, ethereal quality, but still be a bit obvious. I broke out a now defunct polish, but it is hardly unique, for the glitter. And while I am quite happy with the regular, glossy look...I think this really comes alive when you add a matte coat.